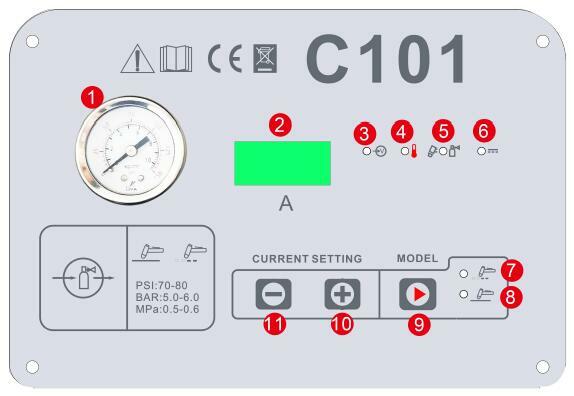 The CUT-C101 manual plasma system is designed from the base of the full digital control system, providing excellent cutting and performance on material up to 30mm thickness. This single phase inverter based power source can easily and accurately cut through a range of materials including mild/stainless steel and aluminum. It is ideal for applications including car panels, light maintenance or fabrication and for use in the home workshop. 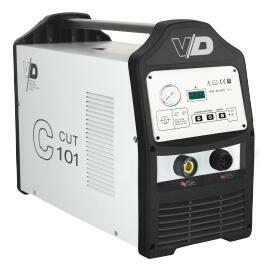 The CUT-C101 plasma is the largest air cooled manual system in the range. Selected with built-in CNC port, it is a perfect plasma cutting power source for CNC cutting system. The heavy duty inverter system with a duty cycle of 60% in a 40 C ambient with 100AMP output, is specifically designed for a high level applications requiring superior endurance and cutting performance. HF or Non-HF pilot arc start system can be easily switched. ♦ Pilot Arc for superior arc performance and easy start. ♦ HF or Non-HF Arc ignition: reliable plasma arc initiation without high frequency. 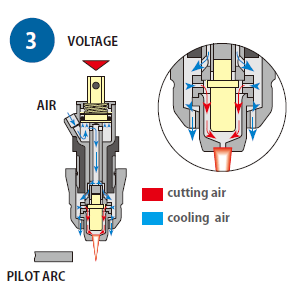 ♦ Continuous Output Control: focus the arc for different material thickness. 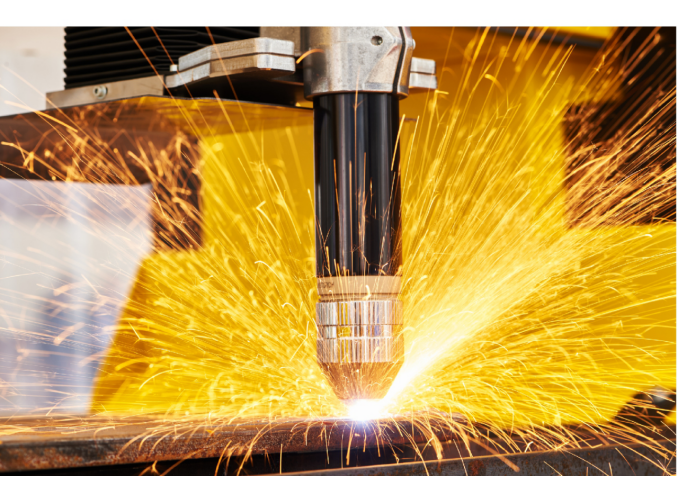 ♦ Rapid Arc Restrike: fast cutting through gaps, even expanded metal. ♦ Powerful with heavy duty: 100A @60%. ♦ Recommended 30mm quality cut capacity (0.5 m/min, with optional torch). ♦ Generator power supply friendly. .
♦ Newly designed using the latest power electronic technology for improved reliability. pilot arc. 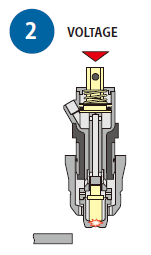 By positioning the torch on the part to be cut, theplasma arc will strike. 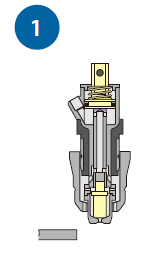 Less electromagnetic disturbance, with consequent absence of problems for any electronic, radio, television, telephone and computer systems in the vicinity of the cutting positions.